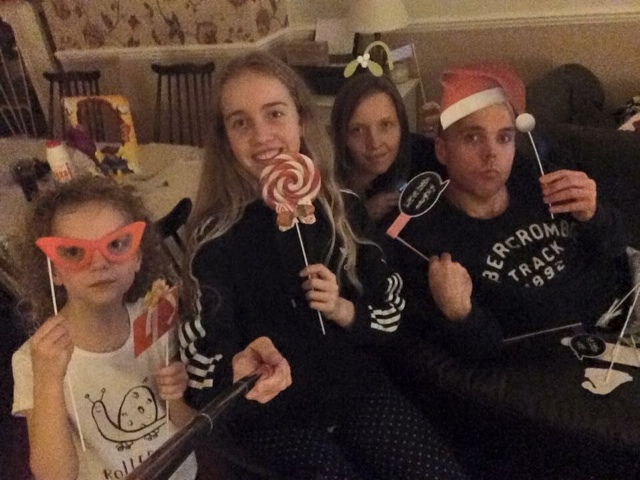 Blogging about us as a family, in our busy and active lives. 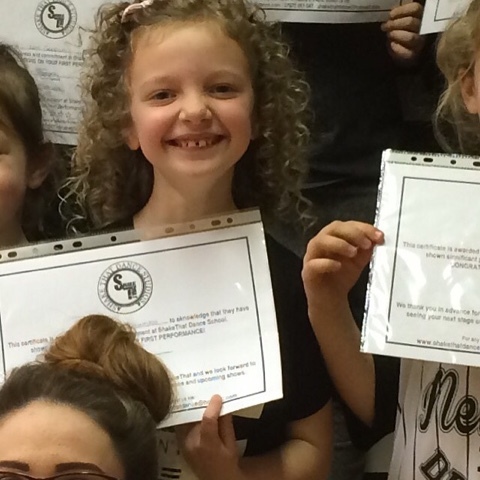 Last week Amelia attended her dance class as normal and after going over the routine for the first half, the class put on a little show to the parents. Now I wasn't expecting what actually happened. Those of you who know Amelia will know that she is a very shy child. Well she wasn't on this particular night. Oh no, she along side the rest of her class all started their routine and in turn all 1 by 1 went in the middle to greatly on their own!!! Wow what an achievement for each child, especially Amelia, a very proud mummy moment. At the end each child was given a certificate for all their hard work and determination. Well done everyone and to Stephen and Beth too for getting these kids to work together, as well as giving them the confidence to do their own thing!! Ok so yes I hit a mile stone this month!! And believe me, when I say I hit 40 as hard as it is going to hit me :-). So the morning of my birthday, I was greeted with a very excited Amelia. She had been hiding a secret for weeks and she was now bursting to tell me. I had a birthday cake which the hubster and her had got made for me, along side a brand new car. Yes I did say a brand new car!! I know I was so speechless (that doesn't happen often) I very nearly cried!! 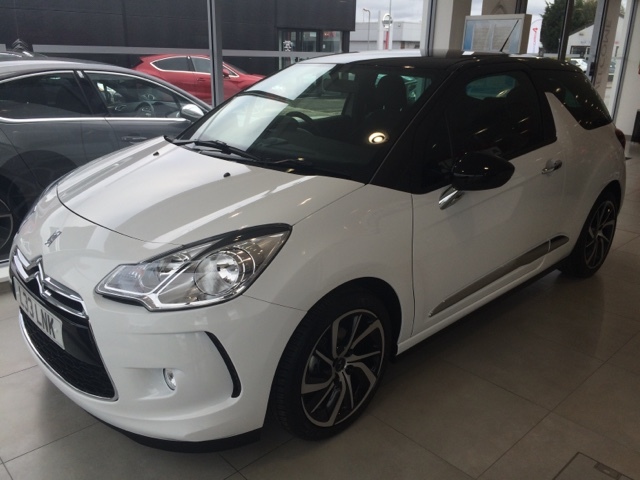 I had been brought a white and black Citroen DS3 and at the weekend I would be picking her up and bringing her home. I was lead downstairs to the lounge where Abbie, Alfie and Maisie had all been up balloons, with 40 on them, and placed them around my present and card from them all. My present was a gorgeous silver Michael Kors watch. I must say I felt very loved and gifted to have such hard working, generous and thoughtful children. Well I made my way into work with a bag full of cakes, doughnuts and birthday cake to be greeted and hugged by everyone I saw on my way to my class that morning. I really felt like royalty. I arrived, eventually at my classroom with 40 banners stuck to the door and around the classroom and all the children shouting Happy Birthday!!! I hate being centre of attention so could of quite easily of hid in my cupboard. So the day continued as normal really until it was break time and I was summoned to the steps of the playground to receive my gift from everyone at work. As I was opening my gifts in the freezing cold I hasten to add, my colleagues began signing 'happy birthday', to which the children also joined in and shortly after it was the whole school singing to me!! I was given a beautiful ring from Pandora and they had all organised a meal out which was also paid for!! I do love my work family and the children. After a special day at work, where everyone made sure I had an amazing day, I went home and got myself ready for a meal out with my beautiful family and a free friends. One friend I have had for over 20 years!! It's always great to see him. I had so many gifts I was truly grateful and felt very appreciated. My beautiful mummy friends from Amelia's school also treated me the weekend before to a spa day and a heart shaped charm for my pandora bracelet. 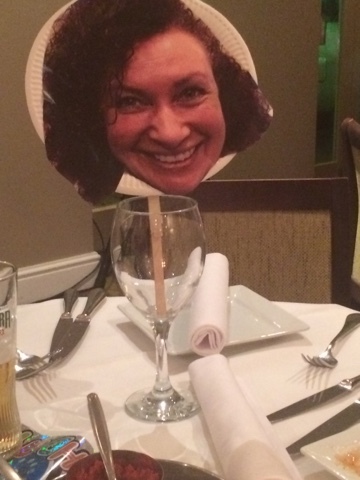 Well the events didn't end there because on the following Thursday was my birthday meal with my work family!! Wow what a night an Indian and fantastic company! We was minus a work family member but we made sure she didn't miss out in anyway what so ever. She took pride of place in the centre of the table in her favourite drinking glass!! 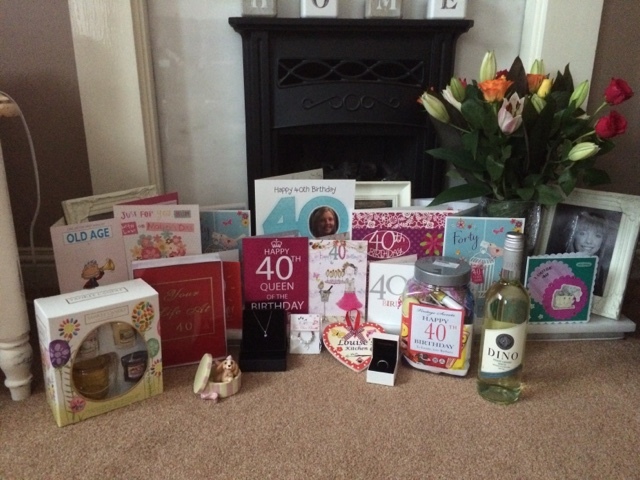 I must say it total my 40th birthday was amazing and made amazing by all my amazing family and friends. Wow I really can not believe that I haven't blogged since January!! To be fair life has been one big massive whirlwind for us both individually and as a family over the past few months!! I have as per normal, been Mouse's personal taxi driver. Lots of very important competitions have taken place. Blackpool British Qualifiers - Mouse competed in solo, crew, team, big and little, electric boogie solos, battle solos and electric boogie duos. This was an intense competition as the complete set up was being ran differently to how it is normally ran, and let's just say it wasn't as smooth running as the organisers expected!! Anyway mouse didn't qualify in the solos and big and little however in electronic boogie duos both her and her partner (Beth) came 2nd place qualifying for worlds in Austria, her crew came 4th narrowly missing getting worlds, but qualified for the Europeans in Czech Republic. Her team came 3rd also qualifying for Worlds. 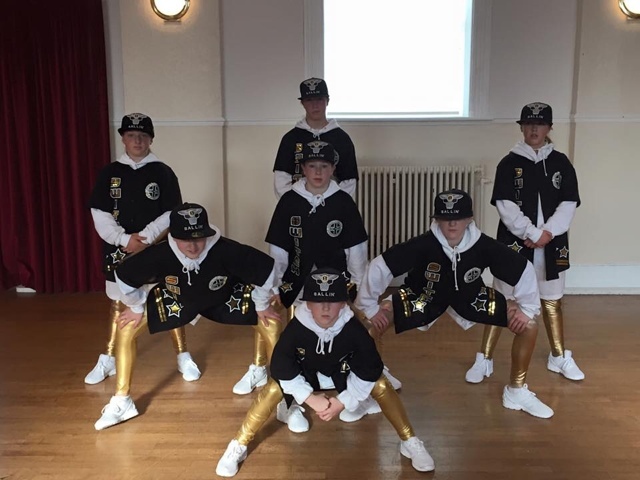 HIp Hop International, Portsmouth - mouse competed in this competition with IMD in both their new crew Rejets sand in the Mega Crew. IMD juniors won their category, and the Mega Crew came 2nd place but the varsity crews didn't qualify this year unfortunately. 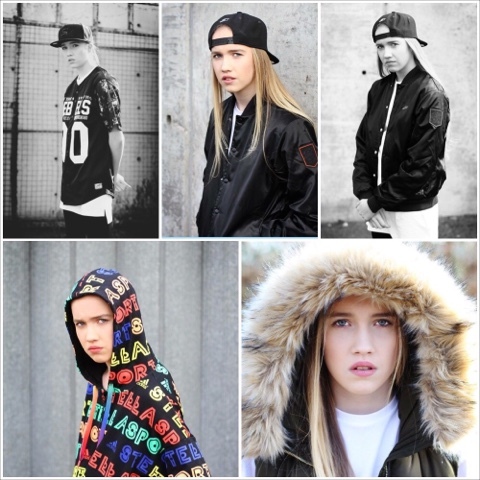 Mouse then went on in March to work with IMD in their new promo video, in fact she did two!! One we are still waiting on being released. Exciting I know... A promo photo shoot was also done for her with her dance teacher who I must say is a very talented man and fantastic photographer. This was done as mouse has some new opportunities heading her way, I will let you know about these when I can 😉 here are a few pictures that he took. 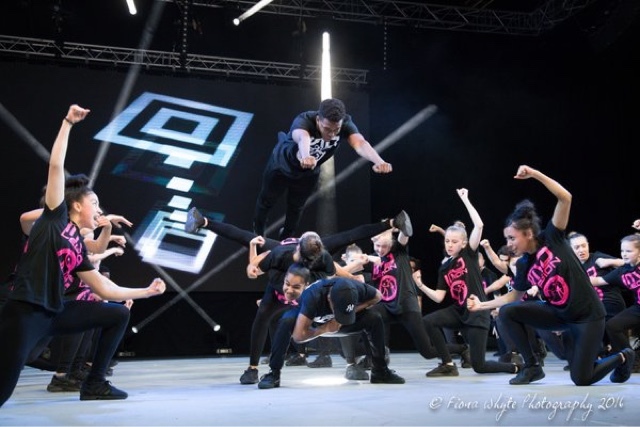 Next was a big performance for mouse and IMD at the London Excel in the show Move It. Not only were IMD dancing at this event but they al so we're supporting the charity Dance Aid. This was a fantastic opportunity for mouse and one of which she is very grateful for. At this event mouse had the pleasure of meeting Jennifer Allison who's show Mouse just loves! So what a day it was to support such a great and worth while cause and meet Jennifer!! On Saturday Mouse was asked to attend Pineapple Dance Studios to take part in an audition for London Elite Dance Company. Now this was an audition that was very different to what Mouse is used to, however she embraced the opportunity and walked out nearly 2 hours later with one of the biggest smile les on her face. I was so pleased to see and hear just how much she enjoyed it. Now we are waiting to hear if Mouse made it, but to be honest, we are just grateful to of been given the opportunity to of experienced this audition. Then lastly to top of March for Mouse, she went along to 101 Events competition to support a team she helps teach of a weekend and decided to compete in her solo. Mouse won coming 1st place. Now she goes into April with more auditions so I promise to keep you all updated!! There are a couple of videos Mouse has on you tube if you want to follow her go to Maisie_IMD9 to watch her freestyle videos. My daughter is in her third year of dancing. In her time at her current dance school, she has progressed massively. Going from local comps, competing in the Eurooean and world championships to now dancing with IMD. We have recently set her up with her own YouTube account and twitter account. It is on her YouTube account that she will post videos of her dancing and showing clips if how to do certain moves! Well it's been a while since I last posted, apologises. I hope you have all had a great Christmas and that Father Christmas brought both you and your children everything wished for. We certainly did and have been very spoilt too! Ok so let's back track a little to October. In October I joined Maisie with her dance school in Rimini, Italy for the IDO World Championships. 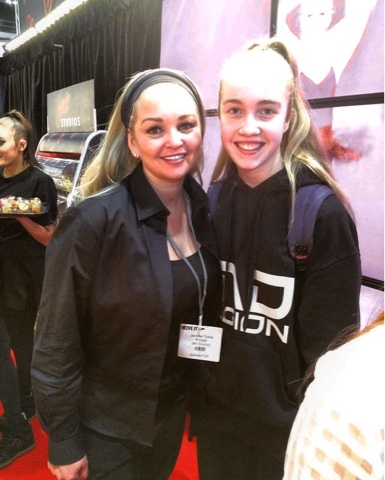 Maisie competed with her team Ino8 who were placed 12th out of 39 in the world. Maisie also competed in Battle Crews. This was a first for her dance school and they did amazingly, coming 3rd place. It ended with it being a England podium as Uk took all three positions! Maisie's crew Switch came 13th also. What a trip it was. This was the last time that the crew Switch all danced with their original dancers before saying a sad Fairwell to one of their sisters, friend & dancers, and what a high to finish off! Ok so November, this was filled with birthdays for both Amelia and Abbie. It was Abbie's 21st birthday and what a mix of emotions it was too. Abbie's present was a holiday to Sharm, however with all the terrorist attacks it was cancelled, leaving her feeling disappointed but safe! In stead we have sorted a spa day for both me and her. We then had to organise Christmas so the shopping began!! None of the children knew what they wanted making it extremely hard for us to buy for them. We started the morning off at home then travelled to London to spend the rest of the day with my parents in my childhood home. Alfie wants to go travelling next year so asked for items he can take with him on his journey or items that he needs for working whilst away. 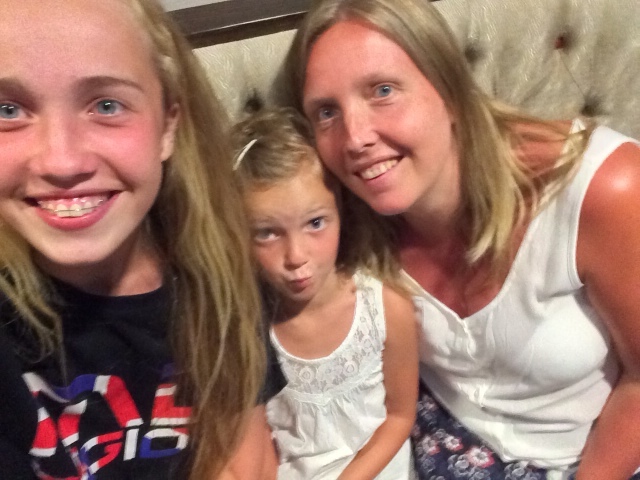 Abbie didn't know at all what she wanted so when she saw things she would post them to us on the Whatsapp group she had set up with some of our family members! However was pleasantly surprised when she received a few surprises, such as her Pandora jewerelly. 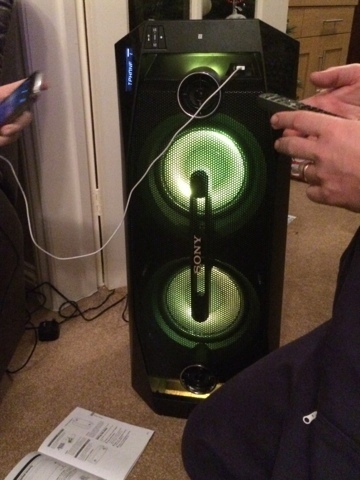 Maisie was happy to have the compete contents of Adidas for Christmas and that was it, however we saw a huge speaker that she can use in the garage which will soon become her dance studio! She was a very happy girl and couldn't believe we had surprised her with such a good gift! Amelia, 6 years old and only things she asked for were Don't take Busters bones game and the Vintage Silver Cross dolls pram. 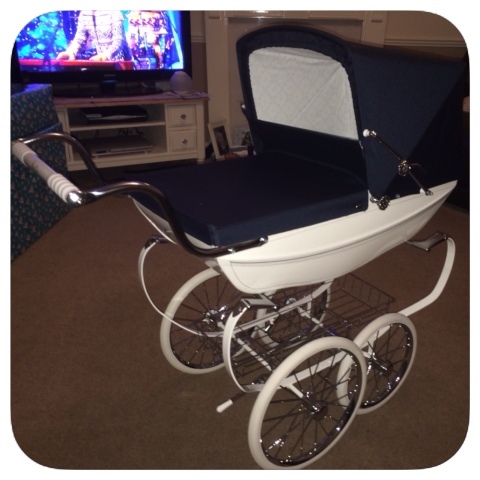 Well I am in love with her pram totally!!! It is amazing. Built to high standards as silver cross do but this item can also now stay in the family for many years! As for Dave and I we just sat back Christmas morning watching the kids open their presents and watching their faces of excitement was enough for us. We were also spoilt with jewerelly, clothing, toiletries and a weekend away! This was the last Christmas there as my parents have sold their house to move into Kent. It's going to be a sad day what with the house being filled with all my brothers and my childhood memories, but new memories to be made in their new home! Our Boxing Day was spent around my inlaws, we arrived before my brother in law and his partner so we began with a couple of old traditional games. Once Ian and Becca arrived tea was served. Traditional cold meats, pickles and Bubble and Squeak!! 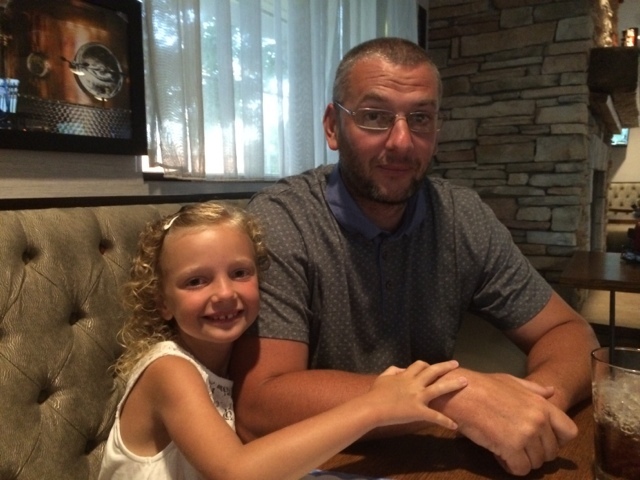 Last Sunday (06/09/15), I had to go to Bluewater to exchange Maisie's school bag as it had become faulty. 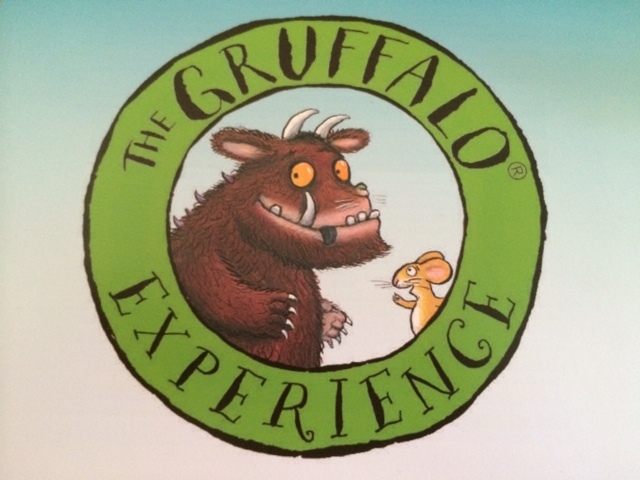 Amelia and I arrived a little early so had a walk around and stumbled across The Gruffalo Experience shop. 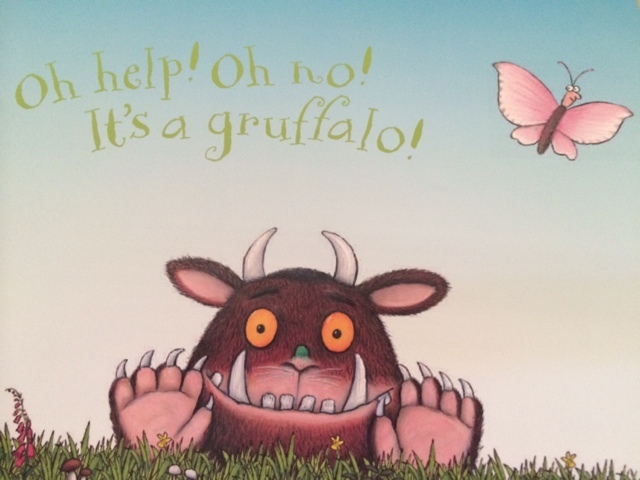 Amelia asked to go in (the gruffalo is her favourite book and Julia Donaldson is her favourite author) and have a look. I thought it would be a lovely last minute treat for us both to do before going back to school the next day, so booked tickets for the 12.30 show. Ticket prices were £11.50 per person. Amelia was extreamly excited. We had to arrive a little early, so made our way round about 12.10. 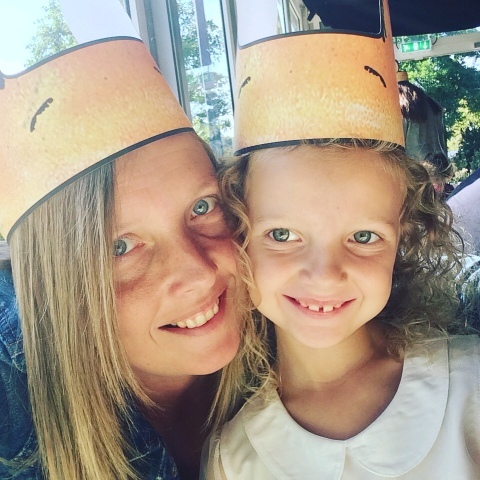 On booking in, we were both given mouse ears, and the children had gruffalo colouring sheets, a large game of connect 4 which had the gruffalo characters on each disc for them to play with. Our guide was a lovely young lady who asked the children what the gruffalo looked like as well as asking them to make sure he wasn't in our waiting area. The young lady reminded the children of the story and then lead us through the deep dark woods. We sat down in the woods and came across the fox, the owl and the snake, who were all very good quality puppets. The guide gave the children facts on each of these animals as well as going through the story with help from the children. Next we moved round deeper into the woods and here we recapped the story and watched a video of when the mouse said he was the scariest creature and how the gruffalo was impressed. It was here that the gruffalo also made an appearance!!! Amelia was glued to the show all the way through. 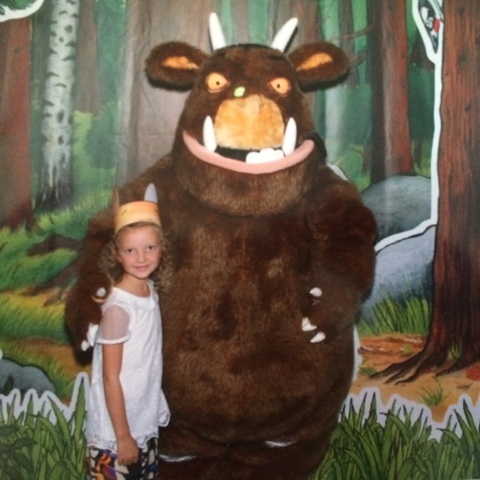 After the final part of the show, there was the opportunity to have your picture done with the Gruffalo. Amelia was first in line for this and have him the biggest squeeze she possibly could. The show in total was 50 mins, just right for younger children as they wasn't expected to sit still, and the guide got the children up to act out the story also. This was a day that Amelia describes as 'the best day of the holidays so far'. As much as I enjoyed the event, I do feel that a consession few would of been more acceptable for parents. However good quality time spent with my princes is priceless. This show runs Saturday 8th August - Sunday 13th September. 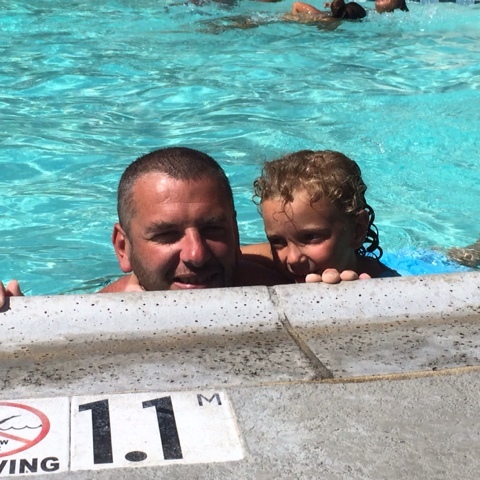 So out time had come to leave Harrahs and move to Los Angeles for the final stage of our holiday. 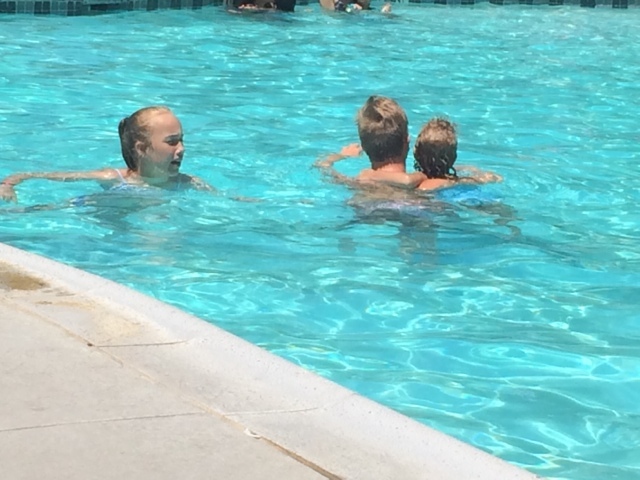 This was the part of the holiday that Maisie was able to enjoy as she had no worries about dance. Monday 10th August, we packed the car (just) and headed off. On route we were going to visit the outlet centre in Carlsbad. The weather was still hot so to be honest we were grateful of the car ride and air con. We stopped at Carlsbad and to say that I felt I was on cloud 9 was an understatement, Michael Kors, CK, Converse, Vans and many more. Apparently according to the hubster, I was in MK for nearly 2 hrs! I'm not sure on that one so won't argue it lol. Fantastic bargins and amazing Christmas presents were in fact purchased on this day!! We found our hotel which was basic but comfortable which we were going to need after planning on doing all the theme parks. We grabbed a meal at the resturant next door (burger theory). 100% Beef burgers, cooked to your preference with a constant refil of drinks and great service. 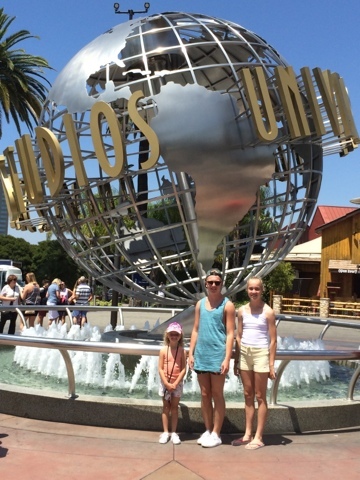 Tuesday 11th August was the first day of our theme parks and we had chosen Universal Studios. This was a park that I wasn't expecting much from but considering we had us adults, teenagers and a 6 year old we all had fun. Again not may rides were done but we watched as many shows as we could which have a great insight to a few things and answered a few questions you get from the kids whilst watching films. The kids met many of the characters and had their pictures done. 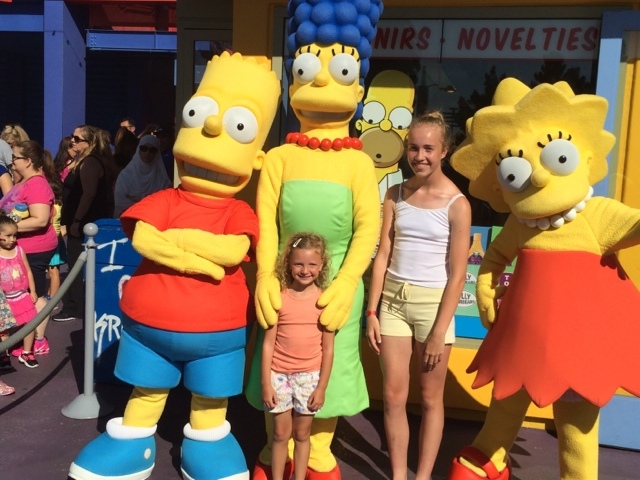 We did the Simpsons ride which was a simulator and didn't go down very well with Amelia as scared her a little bit. It sure was different. We were expecting a roller coaster. We were at the studios till around 6pm then set off to find the Walk of Fame and the Hollywood sign. 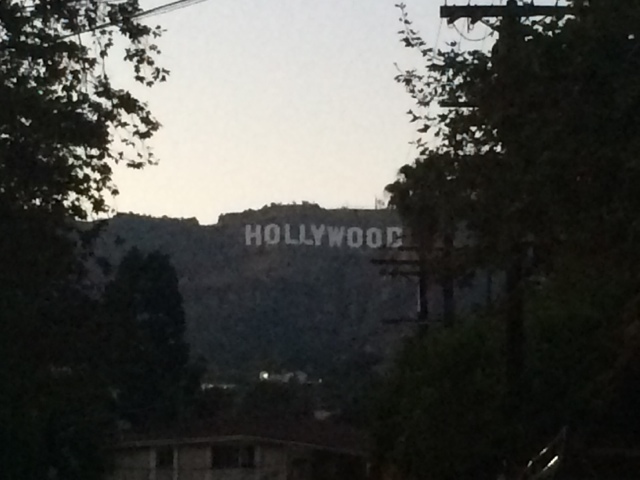 It was getting dark and we were all tired, but we kept going and drove to the Hollywood sign first. After taking a few pictures, we drove to the walk of fame. On our arrival of it we were all very disappointed. It wasn't anything like you see on tv. The streets were not very clean and there were no lights to be able to clearly see the stars. There wasn't much parking and not knowing the area, we decided to keep on driving and if we had time to go back later in the week,during the day we would. So we headed go back to the hotel and get some sleep. Wednesday 12th August. I opened the curtains to be greeted with bright hot sunshine which was great as I was still trying to top my tan whilst doing the parks! 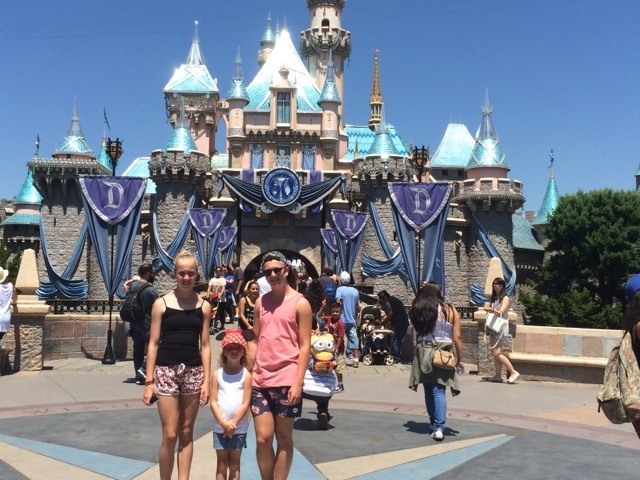 Today was Disneyland. We walked to Disney as it was only a 30 min walk along the palm tree footpaths. This was a day that we were all looking forward too. 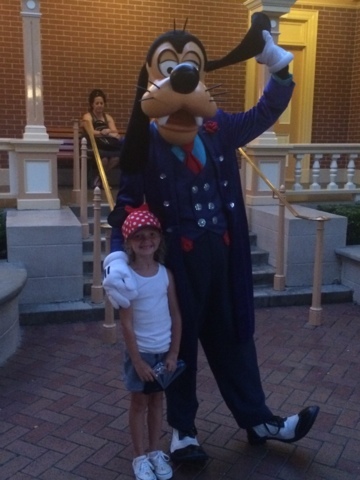 Never too old for Disney! We saw some princesses, mickey, Goofey, the transformers and many more. It sure was a hot day, and there didn't seem to be much in the way of shade but we did find some to take a short break and drink a frozen fruit juice. 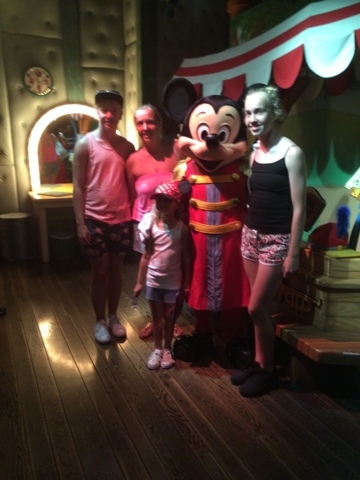 Today was another day that the rides had ques over an hours wait and in the heat wasn't a good idea so both Alfie and Maisie decided not to do the rides but just the sights and characters. We were exchusted from the heat but kept going. 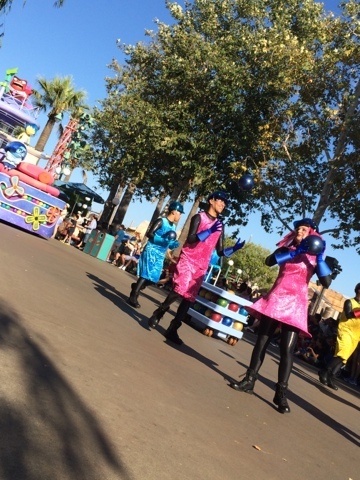 There were lots of people sat on the sides of the road which went through the park and we gathered it was for the Disney parade so joined the crowded and waited. Wow!!! What a parade!' 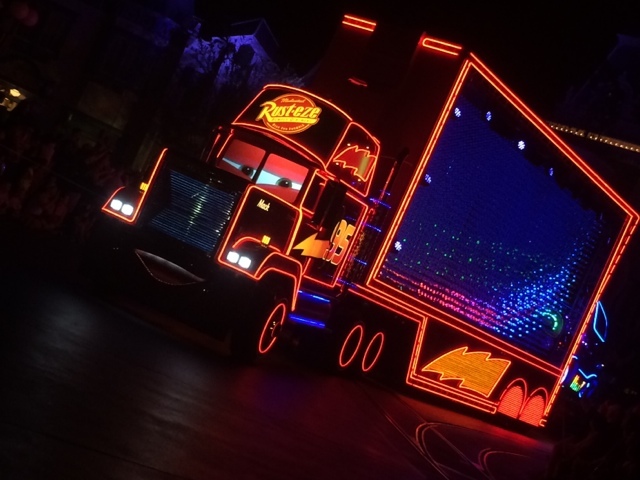 Disney really know how to put on a show. No expenses were spared. 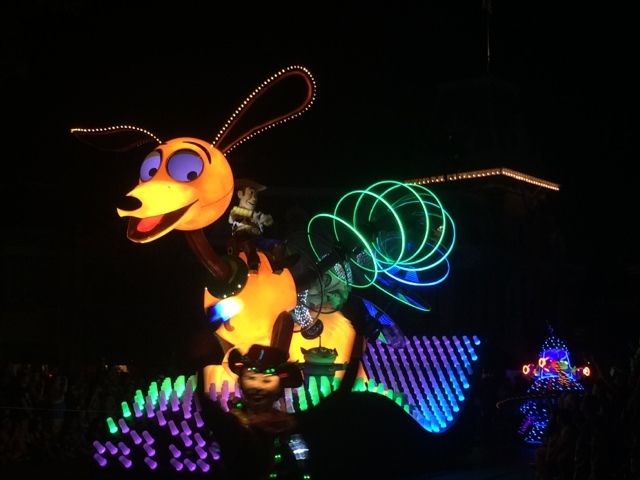 I was like a five year old in total aura of the whole Disney parade. What I did find with the street dancers was that they had so much time for kids and those with additional needs. One performer stopped playing his drum and gave his sticks to a lad who loved banging on the drum. His whole face lit up! If Amelia or Maisie were taking any pictures and the dancers saw them, they would stop, pose and either wave or high five them. It truely was magical. Whilst sat waiting for the parade we got talking to a couple of local teenage girls, who were telling us about the night time parade and how it was a show not to be missed, as well as the fireworks!! After the parade we went off to do more of the park in Mickeys land where we met Mickey and walked around his house. Around 7pm we debated about leaving the park as we were all tired and had, had enough heat and to be honest, just wanted our bed so we headed towards the entrance of the park. 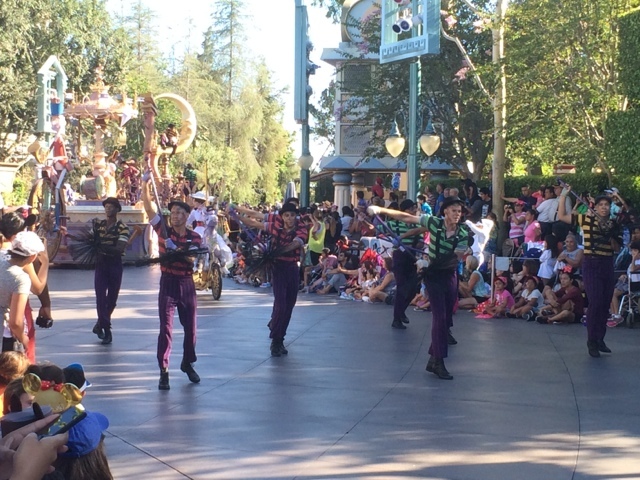 We got to the entrance and spoke about just chilling on the path for the next 45 mins for the night parade. It was while we waited for the parade that we saw Goofey. We are all so glad we waited, as the whole experience was just was amazing!! It was safe to say after two busy days we were begining to flag and even the kids were asking for a day by the pool just chilling. However we had just one more park planned, which was for the next day in Disney Adventure Land. Thursday 13th August we all woke between 9am and 10am so didn't rush to get down to the park. We just chilled and took another casual walk once we were all ready. Disney Adventure reminded me of an old time pier. It had a big wheel and rollercoaster over the far side of the lake and generally have the old fashioned impression. We enjoyed it as it wasn't as crowed, the ques for the rides weren't too long (20 mins), it was a little cooler and plenty of shade. We did the Little Mermaid ride. 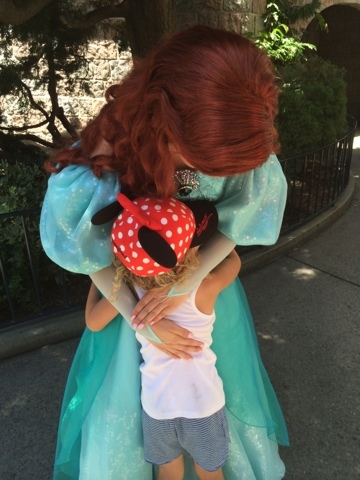 The little mermaid appears to be one of Amelia's new favourite princesses. Then Maisie took Amelia on a ride which went up above the park. Apparently it was nice a cool up in the air!! We got a frozen juice drink and continued our walk round. Going on the toy story shooting ride. We all became very competitive on this ride! However the hubster won! Amelia loved it. The parade was about to start so we headed back round the other side of the lake to find a place to sit and wait for it. We didn't wait long before the parade came by. 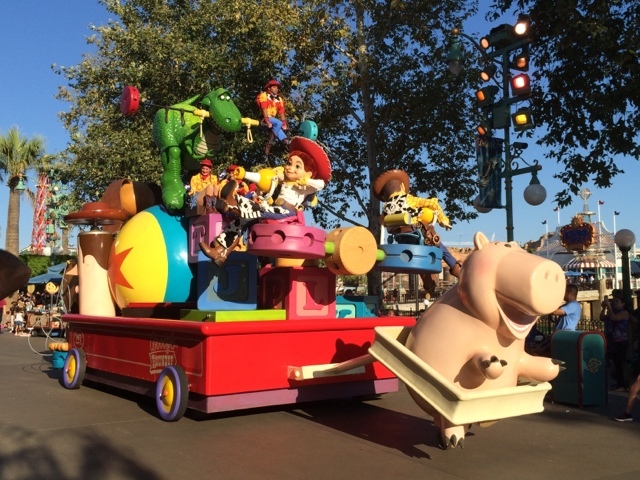 After the parade we headed towards Cars Land and continued to do the parts we hadn't. What we did find in these parks was that there were many photo opportunities for us which obviously we up took meaning we have so many fantastic memories to print! 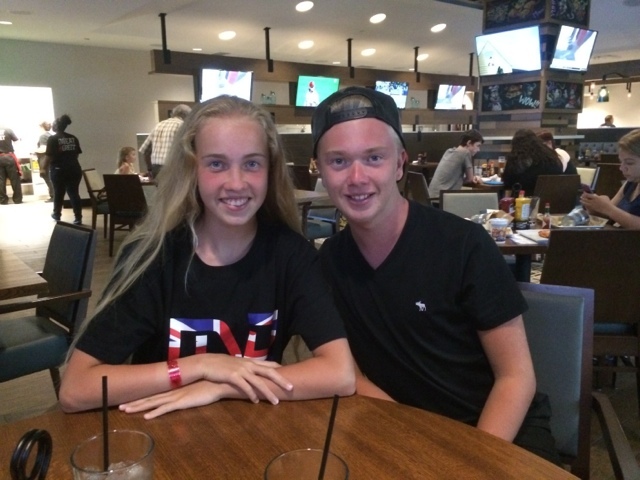 Well after a full action packed day we headed back to the hotel stopping off in Subway for a snack and got ready for a chilled day by the pool the following day. 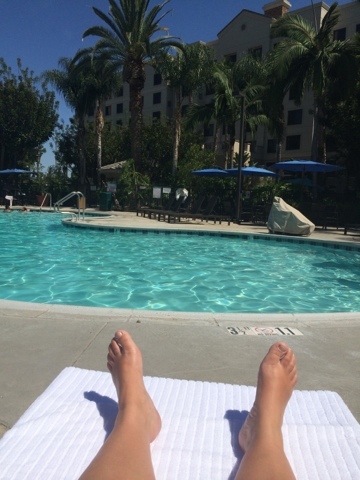 Thursday 14th August, was another hot day which I was pleased about as I wanted to top my tan up before heading back to the wet uk! 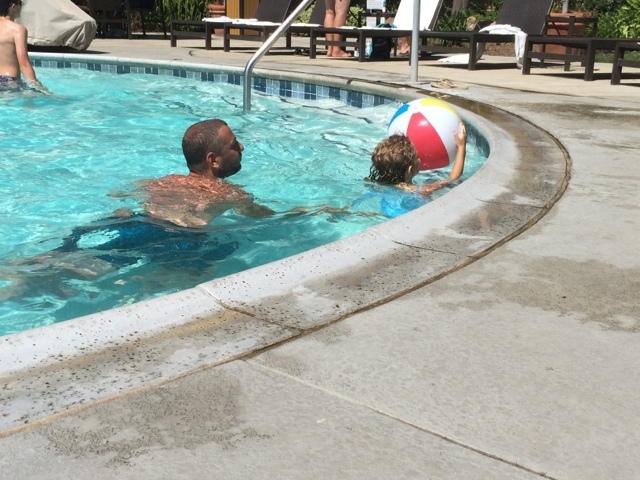 The kids got up, washed, brushed their teeth and went straight down to the pool for lots of fun together. I wasn't planning on moving from this spot! After we had all showered, changed and packed the cases, we headed back to the restuarant next door to the hotel for our last meal in California! We can officially say that this was a fantastic family holiday just a shame our Abbie wasn't able to join us!! Have you had a holiday of a lifetime?? Where was your most favourite holiday?